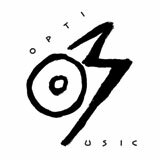 Optimo Music is a Glasgow-based label run by JD Twitch with assistance from Jill Mingo. Based around the Optimo (Espacio) organisation the label's original remit was to be an outlet for some of the amazing music being made in Scotland. To that end, there were 6 releases in 2009, including the dancefloor classic "Release the Beast" from Den Haan and the much lauded punk outfit Divorce.